What are the opportunities and challenges facing cohort and longitudinal studies? Do we need more biobanks or more extensive (and imaginative) use of existing ones? What more can we do to capitalise on administrative records and other forms of big data? 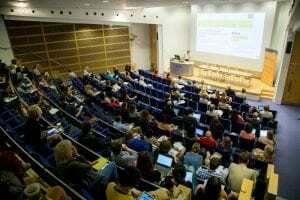 These were some of the questions discussed at UCL cohorts, biobanks and big data symposium, which brought together researchers from across UCL and further afield to showcase activity in this area. Professor Dame Anne Johnson introduced the afternoon and how the cohort studies are a resource not just for the nation but for the world. More than 2.2 million people in the UK are currently participating in population based cohort studies, with 15 of these hosted at UCL. 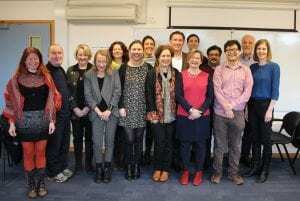 These include the oldest and newest cohort studies and CLOSER, the UK longitudinal studies consortium, which is charged with maximising their use, value and impact both at home and abroad. This first session began with Helen Pearson, author of The Life Project, who explained how a chance encounter with the MRC 1946 National Survey of Health and Development Cohort website, the largest study of human development in the world, led to five years researching and writing about the British cohort studies. 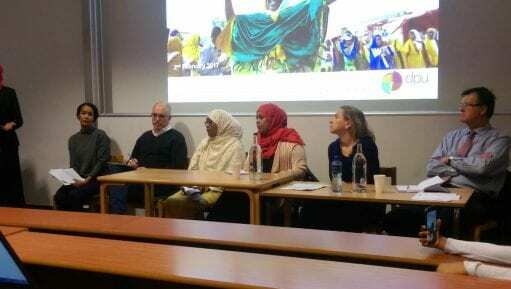 “The cohort studies have influenced and shaped policy on pregnancy, birth, schooling, adult education, foetal development, chronic conditions and ageing and touched the lives of everyone in the country today,” she said. The ways in which cohort studies collect data from participants have changed over time, said Professor Alison Park, who discussed use of new technological advances, including wearable devices. Professor Nishi Chaturvedi argued that to achieve precision medicine we need to pay more attention to the phenotype and the role cohorts can play in this. Professor Ruth Gilbert described ADRC’s work on approaches to data linkage and the enormous value in administrative data, either in its own right or when linked to survey data. Finally, Professor Caroline Sabin introduced the UK Collaborative HIV Cohort (UK CHIC) Study and explained the value of linking clinic and surveillance databases for HIV research. 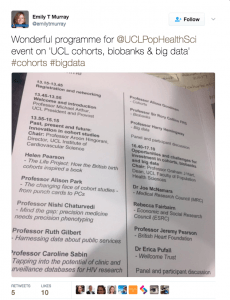 In this ‘Question Time’ session speakers made the case for cohorts, biobanks and big data. Cohorts are vital, nationally representative, scientific resources which enable us to understand the link between early life circumstances and life’s many and varied outcomes, argued Professor Alissa Goodman. Professor Sir Rory Collins spoke in favour of large scale studies and biological repositories, pointing out the value of establishing prospective cohorts in different populations who have different types of diseases and risk factors. T he case for big data and potential for access to real time data was made by Professor Harry Hemingway in the context of the new UK health and biomedical informatics research institute, Health Data Research UK. This institute will, for the first time in the world, incorporate on a national scale the whole breadth of data science research aimed at improving human health. Professor Graham Hart chaired the final session with some of the funders of major longitudinal and cohort studies. 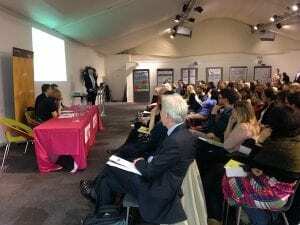 Representatives from the MRC, ESRC, British Heart Foundation and Wellcome Trust emphasised how cohorts are hugely influential, a vital part of the national infrastructure and uniquely placed to study the interplay of factors in a population over time. We heard about how the funding landscape has changed, with ever increasing pressures on budgets, and the need to bring cohorts together, citing CLOSER as an important initiative in this space. Increasingly funders are working in partnership to fund these large investments. A recurring message was the value of talking to funders before submitting bids, the importance of an interdisciplinary approach and data access and discoverability. 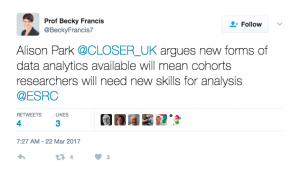 Those interested in the use of new technologies can get a flavour of what’s on offer at two events organised by CLOSER in May. Read more at the UCL Bartlett Development Planning Unit blog.